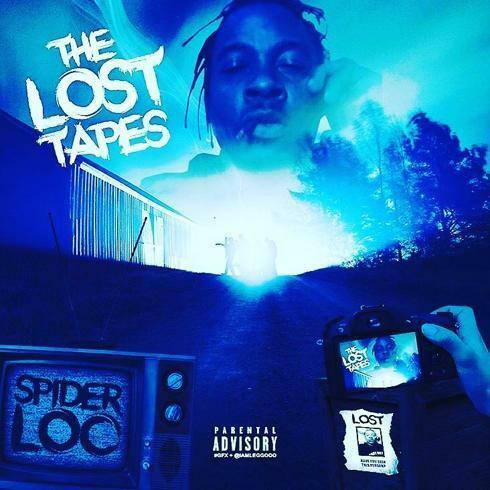 Stream "The Lost Tapes" album from former G-Unit rapper Spider Loc. It’s been a hot minute since we last heard this name, but remember Spider Loc? The West Coast rapper who signed with 50 Cent’s G-Unit crew back in 2004, but then pretty much fell off the face of the earth musically afterwards. Well it turns out he’s making a little resurgence today thanks to this new album The Lost Tapes, which features unreleased music from the 2000’s, 5 of which have 50 Cent on them. Laced with 15 songs in total, the project features guest appearances from 50 Cent, Mack 10, Jay Rock, E-Note & more. If you’re a fan of the old 50 Cent & the G-Unit days, then this project is definitely worth a listen. Available now on iTunes, fans can stream the project in its entirety for free thanks to the good folks at Spotify. Hit play and let us know what you think! Marty Baller Drops Off His New Project "International Baller"
Yung Bans Drops Off "Yung Bans Vol. 3"